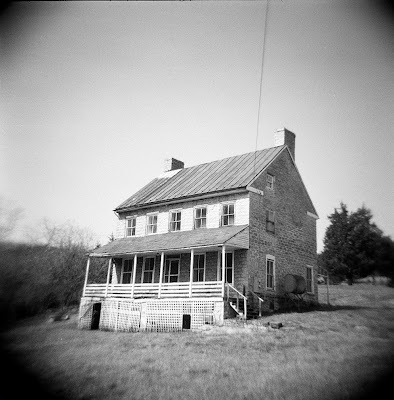 The other day, while I was packing some stuff up to put into storage - I came across an old roll of undeveloped 120 film. I was so happy to have found it, and eager to see the photos that it would produce - that I sent it off for processing right away. Next, I dusted off my poor, neglected Holga, loaded it up with a roll of unused 120 film that I found rolling around in the trunk of my car, and then I went to Amazon.com so that I could order more film. I really like the way you capture the textures, of the peeling paint, rough wood and rusted nails. Thanks so much for stopping by Little Pretties!